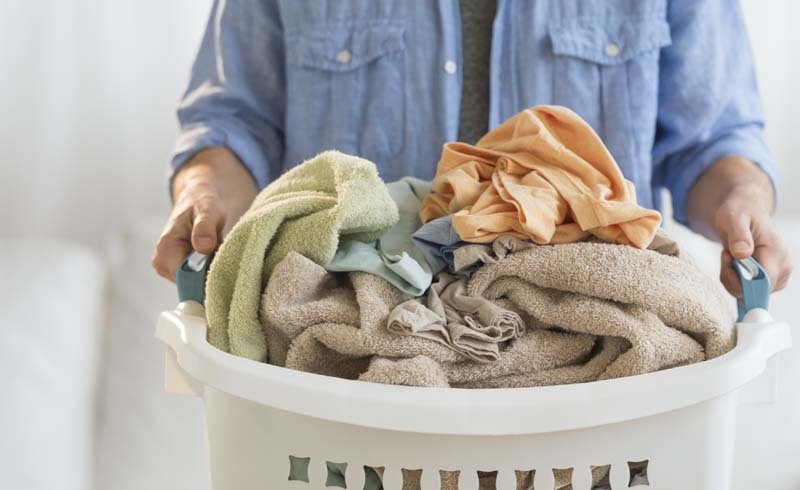 We sought out 10 expert laundering tips from The Laundress so you can attack every stain yourself, extend the life of your linens and save money in the process. Get ready to go spotless. Q: Dingy, yellowing pillowcases are very unsightly. How can one prevent or treat these unavoidable stains? A: This is very common no matter how clean you are. You just need the right products, preferably with an enzymes formula to make them bright and white again. We have the solution! Presoak cotton and linen fabrics for one to two hours in hot water with a capful of bleach alternative and then wash as normal. If you're washing silk, soak for 30 minutes in warm to tepid water with our stain solution and delicate wash.
Q: Having a wedding dress dry-cleaned can be very costly. How can makeup stains on necklines be removed at home? A: For silk and lace, you can use our Wash and Stain Bar to remove makeup and sweat stains. Get the bar wet and rub directly onto the stained area, and then remove the stain with a wet, lint-free cleaning cloth, like this one. Q: What's your secret to removing unwanted glassware rings from porous surfaces like granite? A: If you treat them right away they can be removed. Try our surface cleaner for every surface, which is tough and effective on old and new stains. Q: What's the best way to remove a red-wine stain on carpet? A: We recommend the combination of our stain solution and bleach alternative. Create a paste and scrub the stain with a natural bristle scrub brush and hot water. Remove the excess soap with a lint-free cleaning cloth. Q: For white towels that say, “do not bleach," yet get dingy due to makeup stains, what's your best approach to restoring them? A: It's all about utilizing a bleach alternative made from natural sodium percarbonate that's not a chlorine bleach, which is harsh. This is a natural mineral used for whitening whites and brightening colors. It's color safe, eco-friendly, family safe and nontoxic. You can use it as a pretreating solution for really dingy towels or as a booster added in with your detergent for everyday laundering. Q: Silk shirts say dry-clean only, but can you save money and clean them at home? How so? A: Yes, you can! In fact, it's better for the garment to be washed versus dry-cleaned. Natural fibers like silk are washed and treated before they're used in a garment. By washing silk, you will be removing odor and stains, whereas dry cleaning actually tends to set in odors and stains, especially in silk. Watch The Laundress' how-to video on washing delicates here. Q: Leather jackets are great but can't be dry-cleaned. How can you freshen the fabric lining to remove any stains or odors? 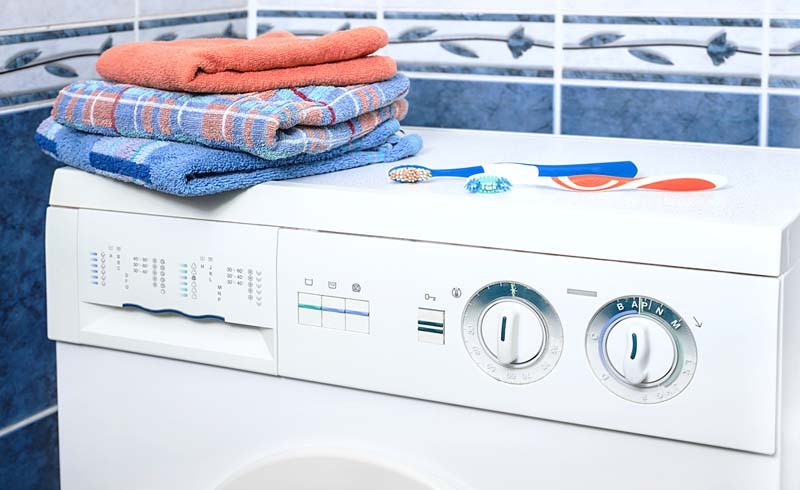 A: We like to use a spot treating method for jacket linings -- all you need our Wash and Stain Bar, a lint-free cleaning cloth and some warm water to remove odor and stains. Simply get the bar wet, rub directly onto the cloth while wetting and work the cloth directly onto the stained area. Remove the excess soap with a clean, wet section of the cloth and then turn the article of clothing inside out to dry. We also recommend using our Fabric Fresh Classic spray in-between wearing and spot treating, as it helps with odor and freshness. Q: What can you do if you spill food or a drink on your favorite upholstered chair? A: Don't panic -- use the same spot treating method as mentioned above. Gently press the water out with the dry cloth, leaving the dry cloth on top to soak up the excess water to help prevent rings and to dry faster. Q: Is it ever possible to remove an embedded oil stain on a shirt? A: Yes, it is. Apply this stain solution to the spot and work into the fabric with a stain brush. Pour hot water from a height, to be more effective, and then soak. But for delicate fabrics such as silk or cashmere, use tepid water and make sure to not soak for more than 30 minutes. If the stain has faded but hasn't completely vanished, repeat the process and then launder as normal. See The Laundress' recipes for stain removal here. Q: How can you restore a yellowing vintage table runner with lace and remove any stains? A: Our products are gentle on all fabrics, but tough on stains. We recommend using our Delicate Wash and the Wash and Stain Bar for yellowing areas. Submerge the vintage item into a cool bath with two capfuls of our delicate wash, using your hands to agitate the water and detergent. Let it soak for 30 minutes, but no longer if it contains silk. Rinse well with room temperature water until the soap is gone. Since this piece is vintage and delicate, do not wring dry but rather press out the water.